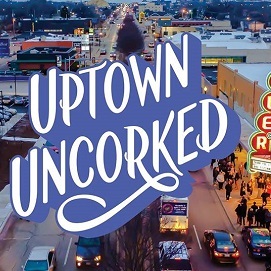 Save the date for the sixth annual Uptown Uncorked on Thursday, April 11, 7:00 p.m. to 10:00 p.m. at the Tower Theatre. Taste and see the best of Uptown Uncorked at Uptown 23rd’s annual fundraiser. Guests will enjoy tastings from Uptown’s best restaurants along with local breweries and wineries, live music, photo booth, and competitive raffle items. VIP tickets available for purchase which includes early entrance and an exclusive Uptown Uncorked wine tumbler. All ticket holders will receive a commemorative Uptown 23rd tasting glass. All proceeds directly benefit the Uptown 23rd District Association’s continued efforts of beautification and revitalization in the district.